Naftilos Boutique Houses is built in the traditional village of Foinikia and compose two traditionally built houses of Santorini. 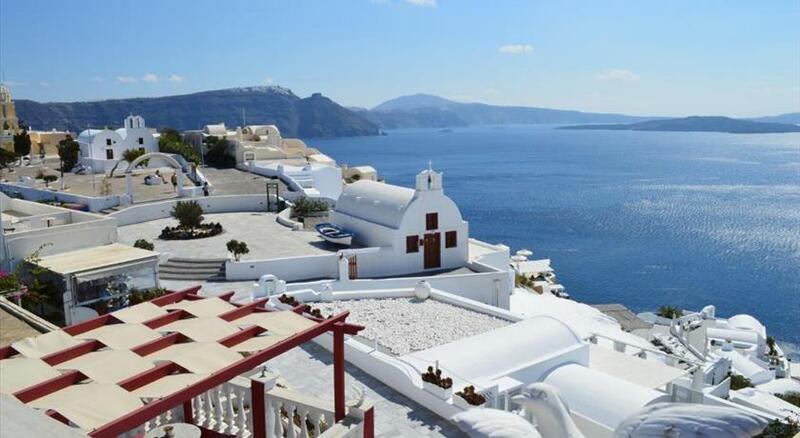 The position has the advantage of being located 10 minutes walk to the beautiful village of Oia, which is famous for its stunning sunset, one of the most famous sunsets in the world. 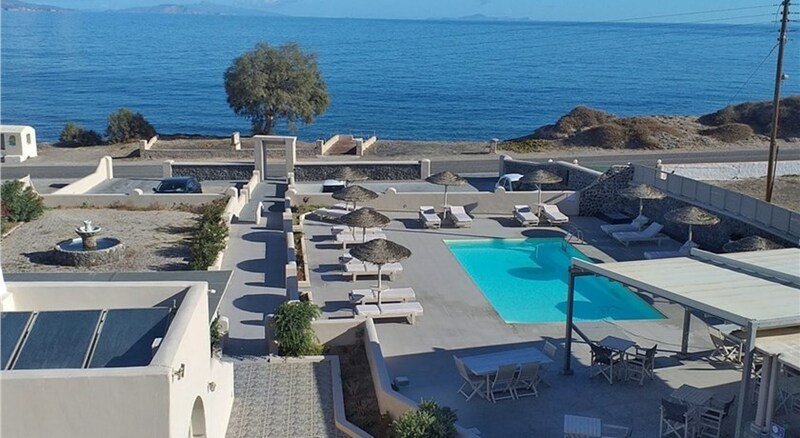 Additionally it is 1 km away from the quiet beach of Baxedes (beach with black sand) and 1 ½ km from Ormos Ammoudiou with the famous crystal clear waters of St. Nicholas. Five minutes walking from Naftilos Boutique Houses the bus stop is found, as well as the stores and the restaurants. Parking space is available for easy access. 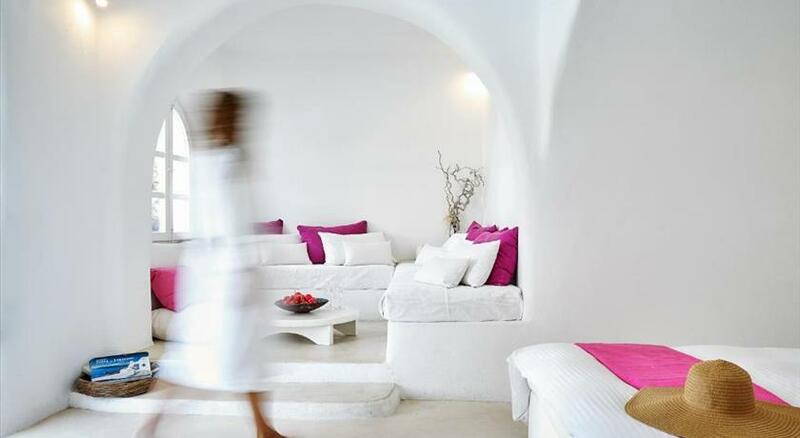 Naftilos Boutique Houses compose of two renovated and fully equipped traditional accommodations. The housing complex is dating from 1928 and has been renovated recently in 2015. It is equipped with all modern facilities offering its guests moments of relaxation and tranquility. 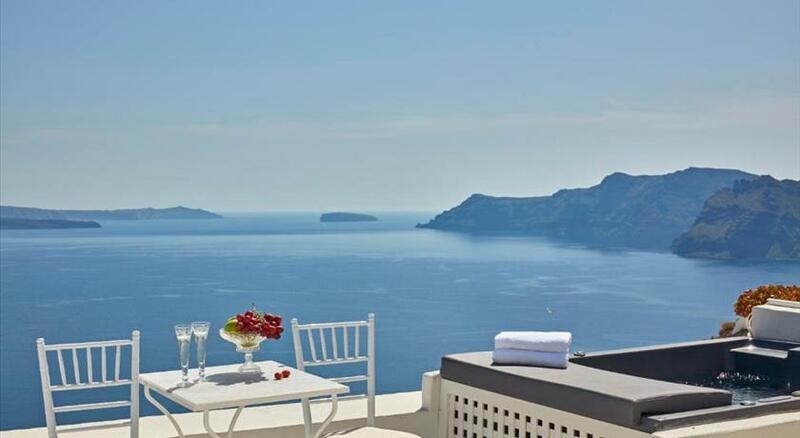 Situated 2.6 km from Cape Columbo Beach in Oia , this air-conditioned studio features a terrace. Guests benefit from terrace. The kitchenette has a microwave and a toaster, as well as a coffee machine. Towels and bed linen are available at Naftilos Boutique Houses. There is a private bathroom with a bath or shower. A welcome basket consisting of juice, biscuits and dairy products is offered upon arrival. Naval Museum of Oia is 2.1 km from Naftilos Houses. The nearest airport is Santorini (Thira) Airport, 10 km from Naftilos Houses. Please inform Naftilos Houses in advance of your expected arrival time. You can use the Special Requests box when booking, or contact the property directly with the contact details provided in your confirmation.